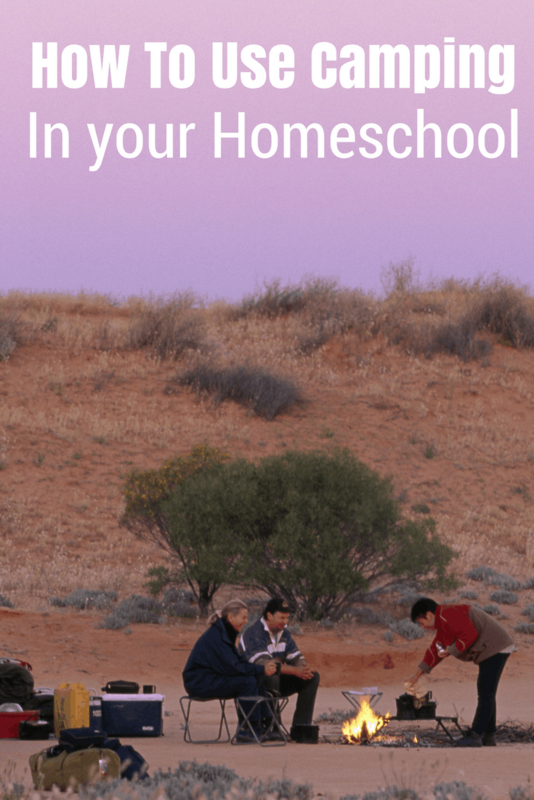 While we have,and use, a curriculum that outlines everything for us, what I really love to do is go rogue and make my own unit studies for various science and nature subjects. We get to cover things that we are seasonal or that we just have a passion for at our own pace and in our own time. 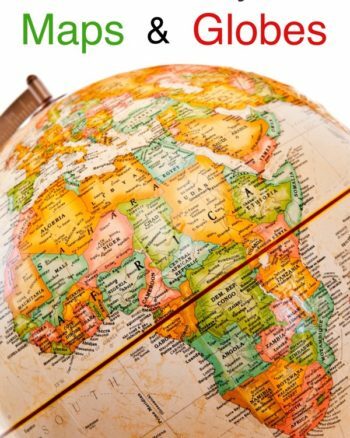 I gathered some resources and suggestions for putting together your own tree unit study to share with you. We didn't even need to go far, we found so much life in our own backyard in the trees-squirrels, ants, mushrooms, ferns, birds, and so much more. Take a sketch pad out with you, draw, make notes, or tape down leaves and other small flat items to take back inside. This study can be done throughout the year and, of course, will change in each of the four seasons. While you are out studying trees you may want to gather some items to bring in for study, observation, and identification purposes. 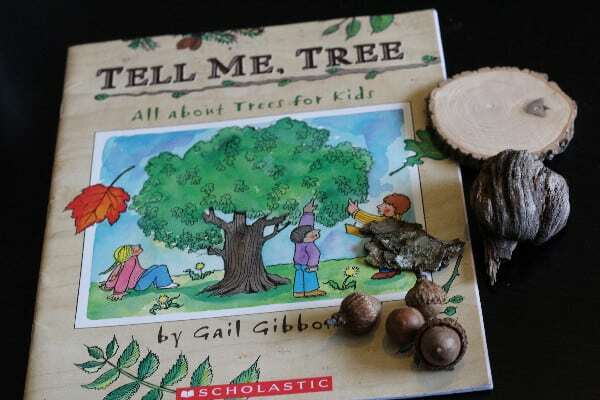 We gathered pinecones, loose tree bark, acorns, seedlings, leaves, tree knots, and small limbs to study. 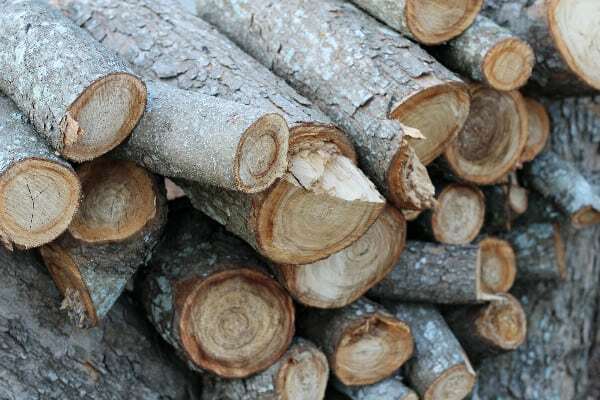 We had this tree slice from a study we did but you can likely get some at a local tree farm or there is a nice selection here on Amazon if you want to purchase one. Place the items out on your science shelf or on a tray that is easily accessible to encourage your kids to investigate on their own time. We used the computer ( my 8 year old) to research the different types of trees- deciduous and coniferous. For art we went out and used our oil pastels and sketch pad to draw trees in the yard. We also made trees from Legos (one of our favorite pasttimes). We had to grab this lot of trees and shrubbery from Amazon and I know they will be put to good use many times over. If you have littles you can count acorns and use them for other simple math skills like skip counting, addition, and subtraction. We used a lot of great books in our book basket, for read aloud, and independant reading. 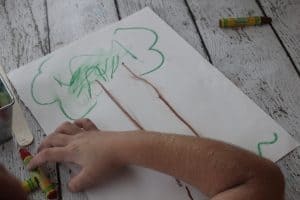 For handwriting, as well as spelling work you can have your child list the parts of trees, or different types of trees. Tree Fun Fact Cards- This is a fun way to learn tree facts, use them in pocket charts, for games, or to decorate your board, from Eduents. 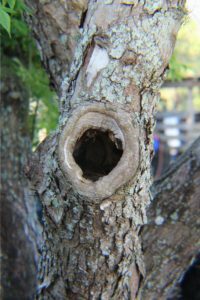 Life of a Tree– This slide show from PBS Media gives a great simple explanaition of tree rings and growth, it also contains discussion questions as well. Leaf Identification Cards– from Wildflower Ramblings are a fun interactive way to learn about trees. 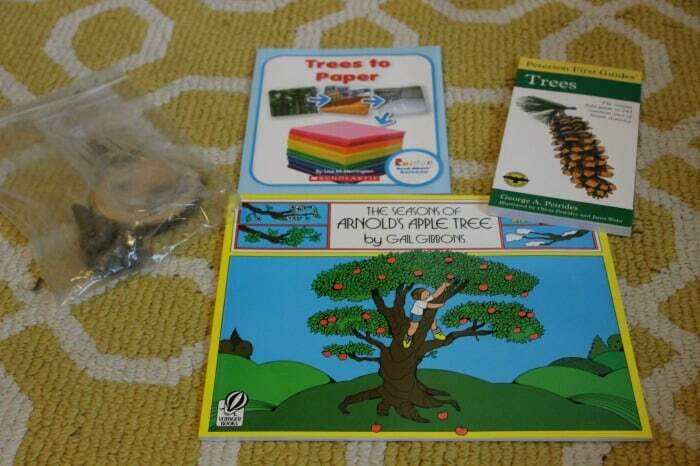 A Tree-Mendous Unit -This Trees TPT printable for K-3rd round out your study well. 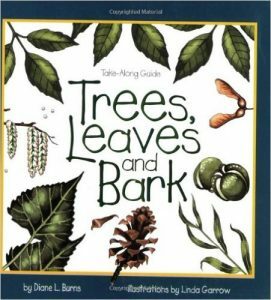 Trees, Leaves, and Bark– These take-along guides are a favorite of ours and this is just one of their offerings. 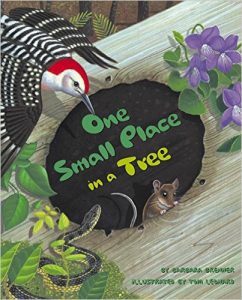 One Small Place in a Tree– I love this look at how birds, animals, and insects interact with and depend on trees. 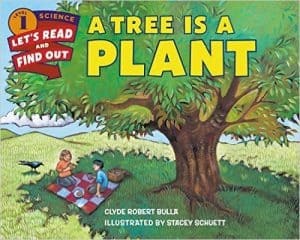 A Tree is a Plant– Let's read and find out science books are also a staple of our shelves. 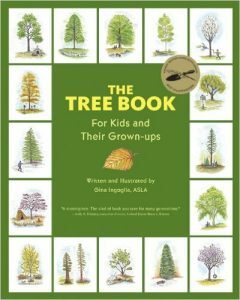 The Tree Book For Kids and Their Grownups– A look at 33 different trees of North America for your little and you. 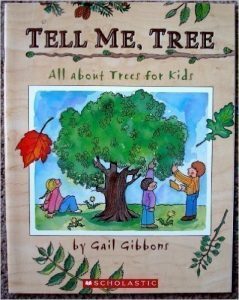 Tell Me, Tree– Any living science book with Gail Gibbons name on it is a winner, this is a great basic book on trees. 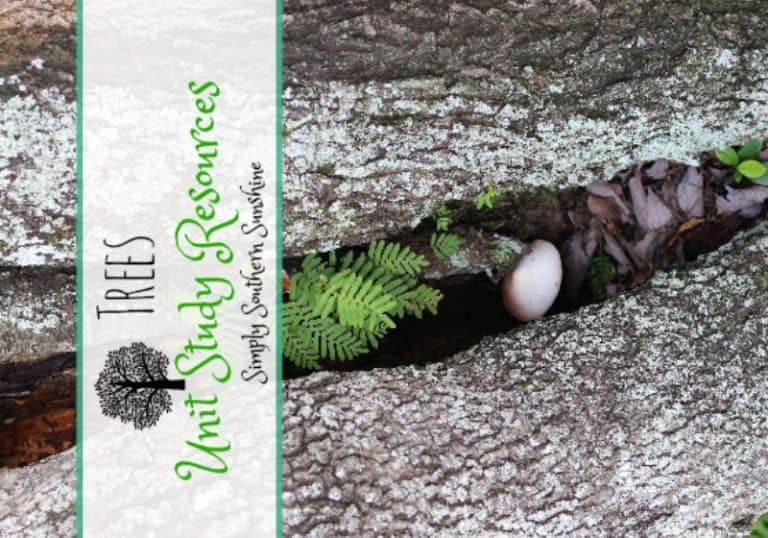 Enjoy getting outdoors and bringing the outdoors in with your Tree unit study!